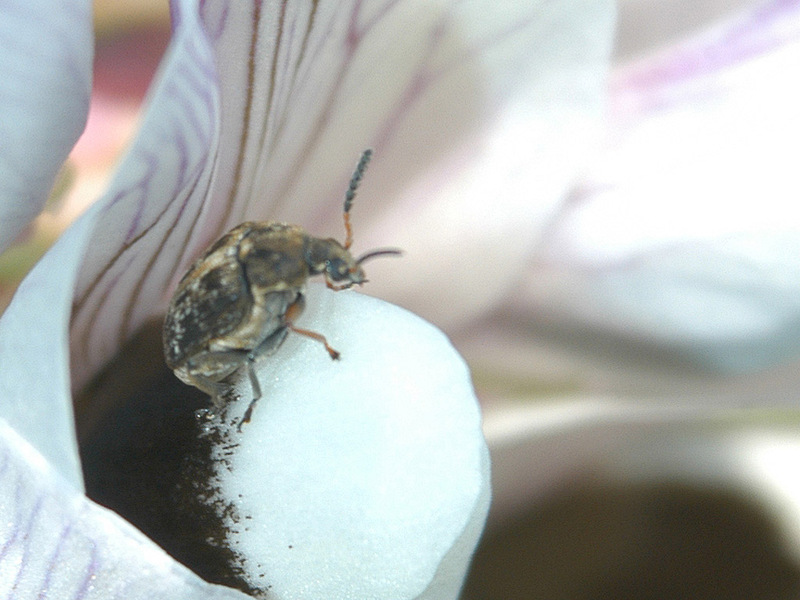 The recent mini-heatwave of extremely high temperatures for early May should be a warning to bean growers for the potential of bruchid beetle activity this season. Hot, dry weather has initiated overwintered bruchid beetle movement into crops over recent days. Fortunately, most crops have yet to reach the first pod set stage, when they would vulnerable to egg laying triggered by the hot weather. 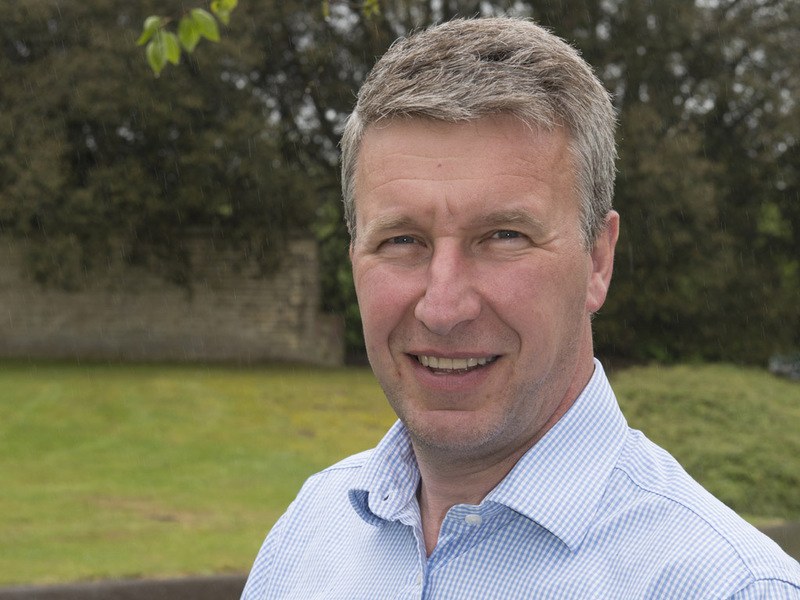 “Growers are urged to sign-up now to the Syngenta BruchidCast pest warning service, to be ready for further beetle activity and egg laying in the crop,” advises Syngenta’s Pete Saunders. BruchidCast uses localised weather forecasting to predict the critical trigger point of two consecutive days with temperatures in excess of 20°C, with growers advised to treat with Hallmark Zeon if plants have reached the first pod set stage and beetles are present in the crop. BruchidCast is available free for all growers and agronomists registered on the new Syngenta website, with advance warning of risk periods delivered by email. 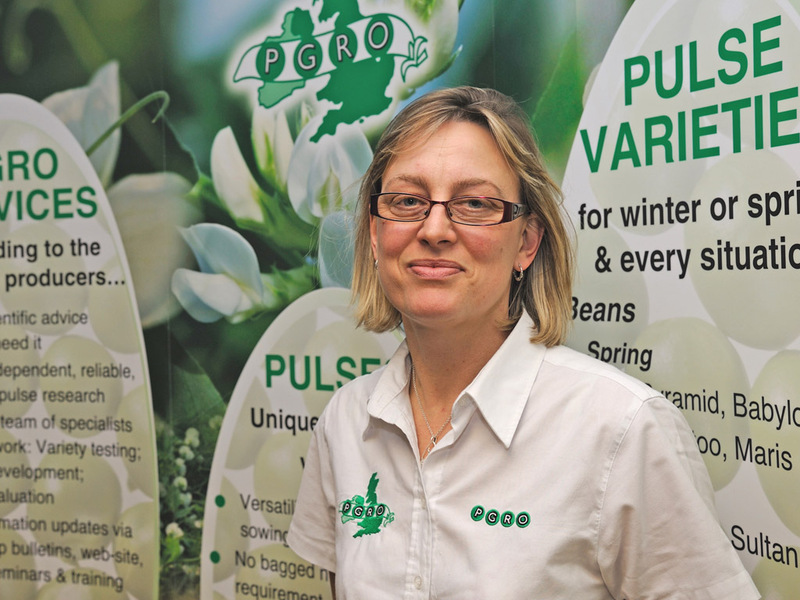 Becky Ward of PGRO (above) reported that, overall, bruchid damage levels last year were similar to 2014, at around 3% average damage across the UK, so quality remained good. “Where BruchidCast spray timing recommendations were not followed, however, there have been reports of some spectacular failures in control last year,” reports Becky Ward. “Especially in areas that are known hot-spots for bruchid activity,” she added. Becky highlighted that growers in the eastern counties, in particular, have been achieving excellent results in controlling bruchids by following the guidelines, and levels have dropped in the region over the last couple of years. Where the risk conditions occur, Syngenta Technical Manager, Pete Saunders (below), reported trials have shown treatment with Hallmark Zeon can help to prevent adult egg laying, and the resulting larvae damage to bean quality in the pods. “Our studies have also shown that bruchid damaged beans have a significantly lower TGW, which reduces overall yield of the crop, not just the quality,” he warns. Pete also reported Syngenta application trials have shown that spraying with angled nozzles - alternated forward and backward along the spray boom - proved most effective in targeting beetles within the crop. “In particularly tall, dense crops, operators should consider increasing water volume to aid coverage throughout the canopy,” he added.